Some weeks ago, I attended the GreenEST green building conference in Tallinn (Estonia, Europe). 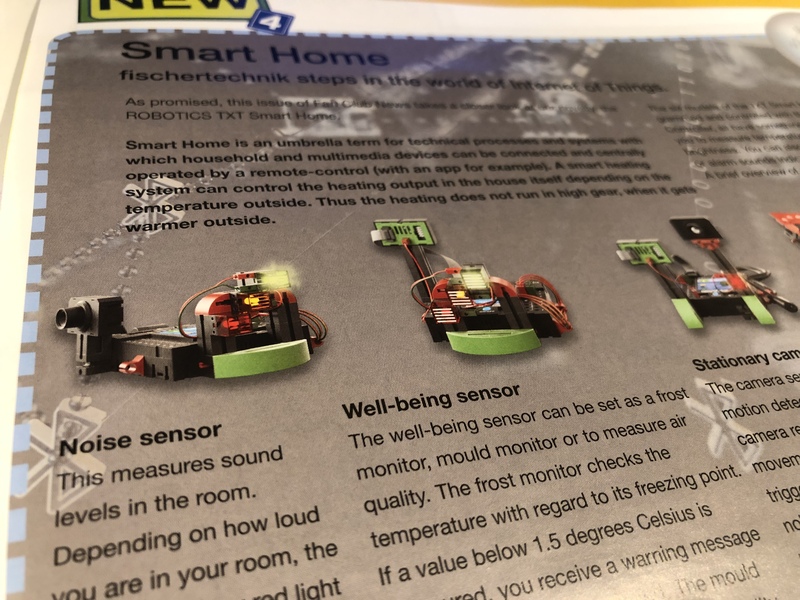 I remember I was a bit disappointed with the presentation on smart home systems, since noise was not in the presented list of sensors for building home intelligence infrastructure. It’s good to see now that teenagers are already being prepared to take noise into consideration in smart homes. I read that in the FischerTechnik Fan Club News. Yes, I admit. I am a fan. As a teenager I used to play with FischerTechnik building sets, which are a plastic version of the toys4boys Meccano metal building sets. The ladder in the picture is one of the models of the “statics” building models box from the seventies. Real nostalgia that is. That’s why, last year, a kind of midlife crisis made me buy a lot of the boxes of the new series at once. I remember, being a kid, you went to see the shop many times, saved for the one box you liked, and prayed that you’d find the other under the Christmas tree. The advantage of growing up is that you can walk into the shop and take the whole series home at once, without really hurting your monthly budget. The disadvantage is that you do not have the time anymore to build all those models. The frustration about time, of course, is even higher, when you are confronted with the new series that are shown in the Fan Club News. But that’s how I discovered that FischerTechnik now has a smart home building set. And yes, there it is! The very first project they announce is a home noise sensor that you can connect via the cloud to your tablet. Cool. I admit the application they then suggest is less nice for the neighbors, since they suggest to try and make a lot of noise to verify whether the lights turn orange and red. But okay, let’s not try to solve all the issues at once. I am already happy to notice that noise is being considered as an important part of the home environment that determines the well-being of the people living in those homes.